TWSBI’s, man. When they are good, they are SO GOOD. This pen is so good. I still get nervous about TWSBIs, after having two break and one leak all over, but this one has held up to my rigorous writing routine and has been nothing but gorgeous and reliable. It's gone from purse to pocket to pen case, with nary a crack or drip. It's comfortable to hold, writes very well, and packs enough ink to get me through several weeks of productive writing. This 580ALR is an update to the existing line of Diamond 580s, with a matte, brushed, grey anodized aluminum. The grip and cap accents are textured with a fine rib that looks neat and helps keep the grip section secure in your hand. The piston mechanism is this same brushed grey. It's a very crisp, industrial look. The only thing that ruins it, I think, is that the clip is still shiny chrome. It stands out in an odd way, when all the other metal accents are matte. I can understand how it would be tricky to specially manufacture a regular component like that, and it likely would have had to drive the cost up, but it would have looked cooler. The ridged grip feels very comfortable and looks awesome, but the grooves do hold on to dirt, and ink gets in them with every fill. It rinses out, but it will probably always look a little grungy between cleanings. The cap is clear with a smoky inner lining. Ink can get trapped between the lining and inner cap. There are tricks to removing the lining and cleaning it out, but it can be a pain. The body is the faceted clear plastic of all Diamond 580s. It's window-clear, and the facets stop it from rolling and look lovely in the light. There are a few places where this plastic screws together with metal parts, so be very careful not to overtighten any of the joins, or you may risk cracks. The ink chamber in the body holds a whopping 1.95 ml of ink. It feels like it lasts forever. It's perfect for longer projects, writing trips, or for a student who doesn't want to risk running out of ink mid-lecture notes. I'm so curious about how far this much ink will get me that I'm planning to test it out this November during NaNoWriMo. Like the other 580s, this pen should not be posted. It doesn't work well--the cap is too heavy, it doesn't post deeply enough to stay, and it can risk twisting the piston knob and spilling ink everywhere. Fortunately, the pen is big enough that it really doesn't need to be posted. The nibs come in EF, F, M, B, and 1.1 stub. Mine is an EF and writes perfectly--smooth with good feedback, a true EF line, with the perfect amount of wetness. 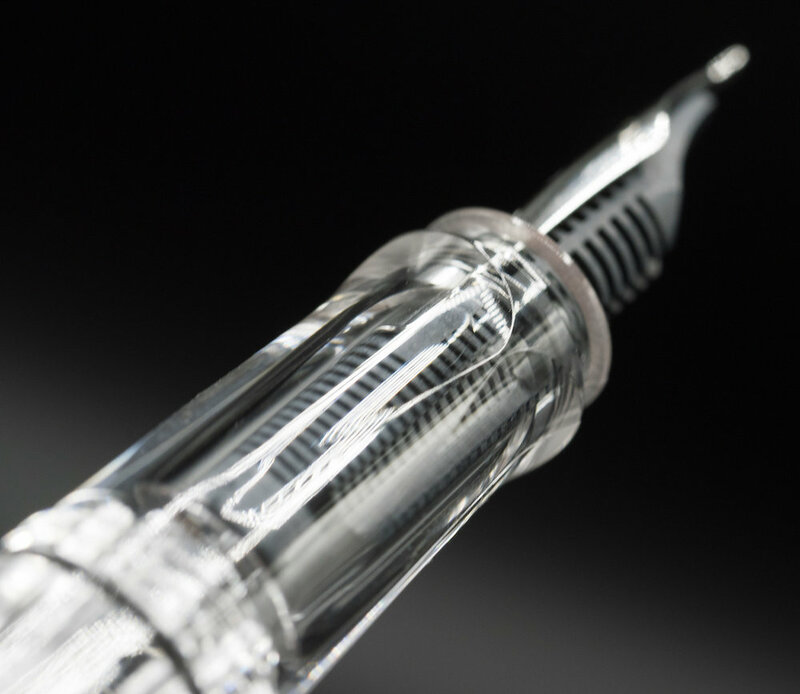 The nib unit can be easily swapped and nibs are available separately, so you can change your line width as needed, or replace a nib when necessary. The whole pen can be disassembled with the included wrench for easy maintenance and cleaning--but be sure to do your homework before you take it all apart. There are some great videos with instructions to make sure you can get it all back together again in working order. This pen has proven to be an excellent workhorse over the past few weeks. It's such a reliable writer that it gets more attention than my fancier, more pricey pens in rotation, and it's earned more than one compliment when I've used it at work. It's a great blend of the classic and modern advantages of fountain pens. I like this pen enough that it may have cured me of my TWSBI jitters. Of course, its longevity will factor into that. If it survives NaNoWriMo this year, I'll know I've got a winner on my hands. 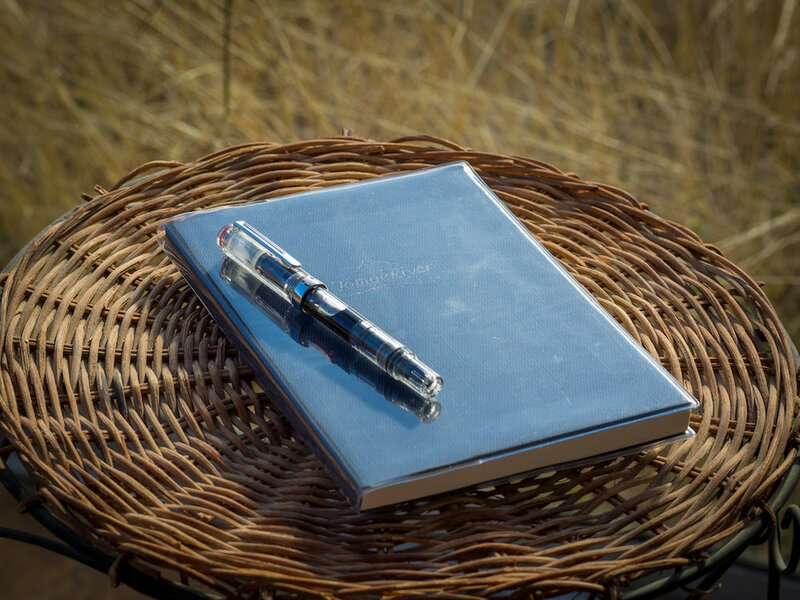 Posted on September 20, 2018 by Sarah Read and filed under TWSBI, Fountain Pens, Pen Reviews. 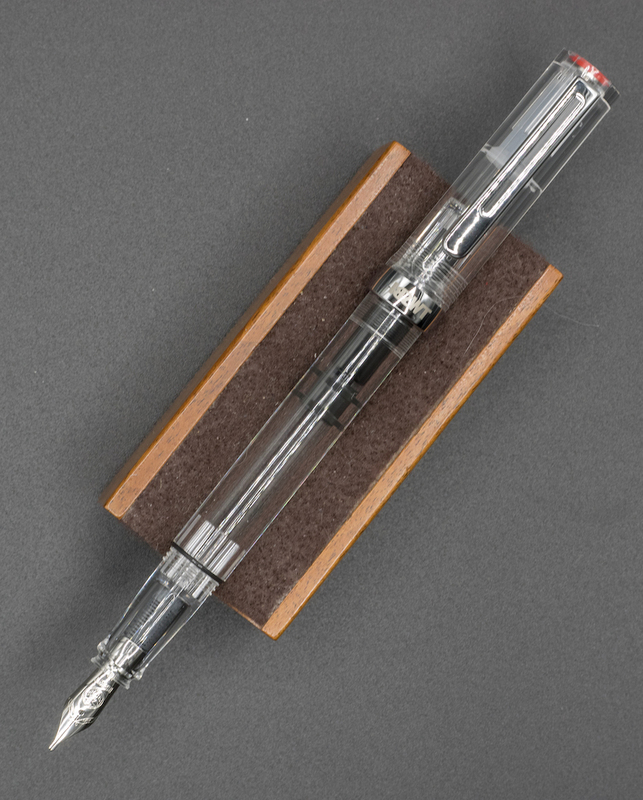 The TWSBI ECO-T is an update to the original ECO released a few years ago. Not a lot of changes were made and people seem divided over whether or not the changes were improvements. The old version is still available, though, so whichever you prefer, you're good. I prefer this new version. The main body of the pen is the same, but the cap, piston knob, and grip have been made triangular. The old version had a hexagonal cap and knob, and the grip was rounded with three flared barbs at the end to stop your fingers from sliding forward. Some people loved the grip, but I found the barbs uncomfortable, and I like that the ECO-T has opted for a more subtle, molded grip. The triangular grip does encourage a certain hold, but it's rounded enough that it may not be too intrusive for alternative grips. It's definitely not as bossy as the Lamy grip section. Another small improvement they made is to put a rubber o-ring at the back end of the pen to help with secure posting. It does work--the pen posts with no wiggle--but it's very long and back-heavy when posted. It may work okay for larger hands, but I suspect it's a bit much even then. Otherwise, my experience is the same as with the previous ECO. The nib writes wonderfully and starts up right away every time. I love the sloshy ink tank and the alarming key-lime color. After several broken TWSBIs, I still have the TWSBI jitters--I feel like I'm waiting for the other shoe to drop. But this model has fewer moving pieces and fewer threads, so I'm hoping it might be more durable. I haven't babied it--it's been a purse and pocket carry for a few weeks now without the cracking and leaking issues I've had with my other TWSBIs. So I find myself, once again, cautiously hopeful. I've had too many sour experiences to consider myself a fan of the brand, but I am enjoying the heck out of this pen. I want to believe! If it holds up, this pen could easily be a daily writer for me. Posted on May 23, 2018 by Sarah Read and filed under TWSBI, Fountain Pens, Pen Reviews.